Baking gluten free cupcakes is very easy. 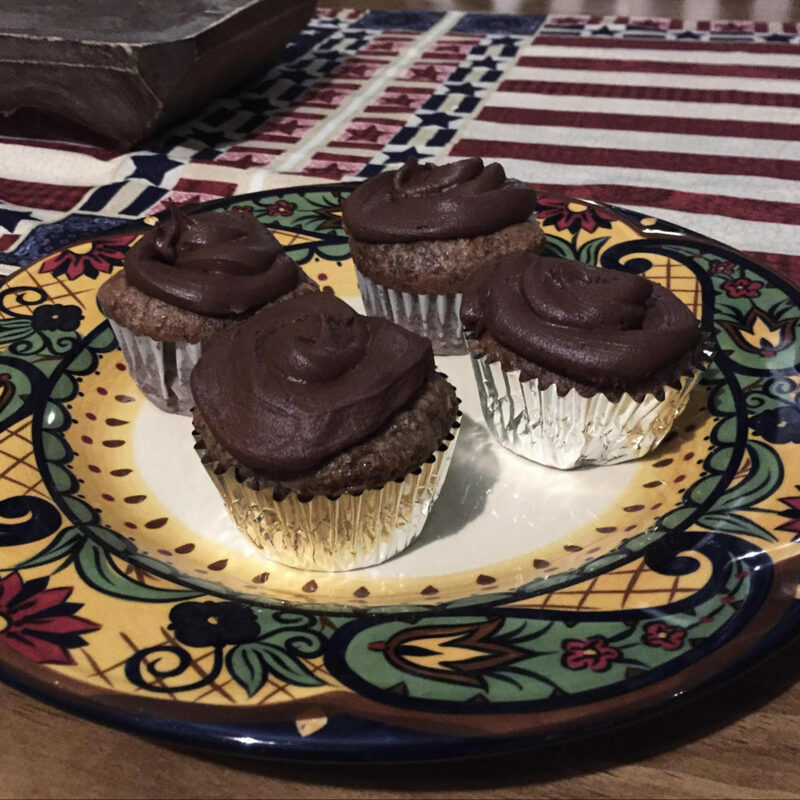 This recipe make cupcakes that are denser than moist cupcakes, but that tends to happen with gluten free baked goods. These are what I call double chocolate cupcakes. They are a chocolate cake with a chocolate frosting, all of which is homemade. This recipe came from the website “My gluten free Kitchen,” and it was posted by Michelle Palin. The day after I had baked them, I took them to my school Peet Jr High and handed them out randomly to teachers and students and had them fill out a survey about the cupcakes. The density of the cupcake was more so of a pound cake than a normal cupcake, but 50 percent of the tasters that had one liked them and wanted more, while 40 percent said they would if it had some changes. Place the butter in a glass bowl and microwave till melted.Whisk the cocoa powder into butter.Add the powder sugar and milk alternately till mixed together.If you’re frosting is a bit stiff and hard to work with, add a little bit more of milk to soften it. If your frosting is a bit loose, feel free to add more powdered sugar to the mix. Notes: My frosting turned out more on the liquid side, so I used a spoon to spread it out on top of the cupcakes.You can place the frosting in the fridge to cool faster, but it might melt a bit once you put it on the cupcakes. thicken the cake, and this is very important! soda, and salt and set aside. whisking it while it’s brought to a boil. Beat in eggs, buttermilk and vanilla till combined. Spoon in the batter to a lined cupcake tray and place in oven. minutes onto the timer if the toothpick doesn’t come out clean. ter to become more creamy. but may change the taste.